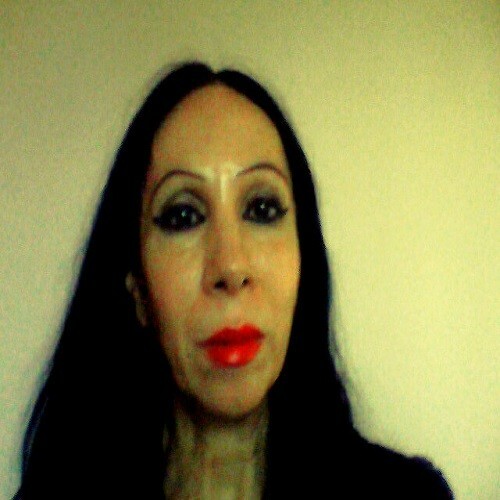 Hi, my name is Kephra, I was drawn to spiritual matters very early in life, in my early teens I dedicated several years studying different religions, by the time I was eighteen I began my journey into learning the Tarot system, when I was 25 a clairvoyant recognized that gift in me, since then I have continued to learn and practice many skills; I'm almost sixty and the spiritual learning goes on. I love helping people to clarify any life issue, I am an empathic spiritual reader, non judgemental, I have guided my clients for years and this brings me great joy. Leos can take the lead and know what they want and who they are, but equally they can be very kind spiritual souls that spread the light to others. I don't see myself only as a Leo because other signs in my chart add to mix. I was fourteen years old, I asked myself: who am I? And what am I doing on this Earth? A great light came as to welcome me and reply to my questions. Years passed that confirmed what I needed to do. There are many, but one in particular came through a lady that was facing various challenges in her life, some on the home front, some at work and other sectors, my readings helped her to identify the core issues in each situation and guide her forwards, to this day she is very thankful and I feel happy to have played a part in her successful results. I'm a qualified hypnotherapist in past lives regression, I interpret dreams, I also use the Runes, I have taught myself the Tarot which I have almost forty years experience with, and other cards systems I combine clairvoyance in my readings. I give guidance on many issues from practical matters to the deeper side of the Spirit. My opinion is that every reading is about guidance, prepare yourself open you mind and heart, nothing is set in stone and our free will can change events, a reading is there to shed light on issues or even just to view the future, is a wonderful tool to access information and help yourself. Thank you Kephra! Sorry we got cut off. Always a pleasure talking with you and thank you for your guidance. ???????????????????????? Amazing reader, had blown me away in first few minutes . Very Connected will definitely call again ???? Thank you so much for the reading tonight Kephra. You picked up my situations and answered my questions with such insightful and much clarification. I am grateful for delivering it with honesty. Your very easy to talk to and very understanding. Lots of love! Kephra is WONDERFUL! Thank you Thank you Thank you ???????? Thank you Kepra. I never leave testimonials but today I was ever so grateful for a great balanced reading without pulling me down a rabbit hole.